Ugadi in Andhra and Karnataka, Gudi Padwa in Maharashtra, Bihu in Assam, Baisakhi in Punjab and Chaitra Navaratri. You may find more details here. The reason is the same - Spring is here. Mangoes of the first season are seen in the market now. Dishes of unripe green mangoes is common in many parts. Coconut, jaggery, neem leaves are also special for the occasion. Then of course, we have the Navaratri begin as well. 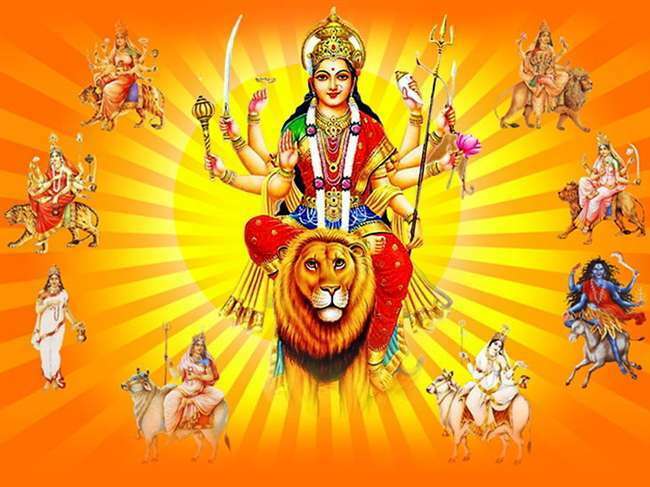 The Chaitra Navaratri, the other one being about 6 months later with the onset of Sharat season. 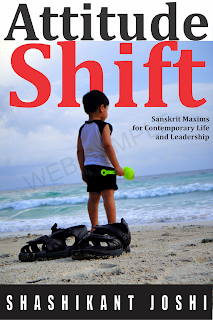 It has been some time since I have been active regarding Sanskrit writing - blog or Facebook. With this New Year, I am happy to announce that I am back, with a commitment to much more time for Sanskrit works, and soon full time. 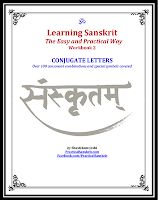 I will be transitioning to spending more and more time working on various projects related to making Sanskrit more relate-able and enjoyable for even those just starting out who may not have enough exposure to it. 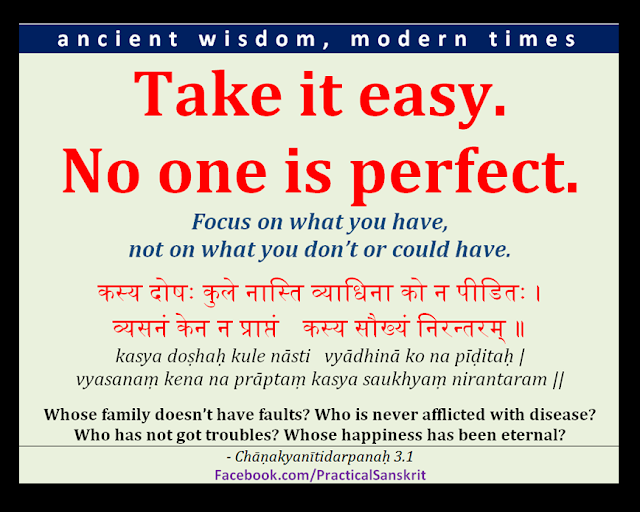 Here is to more time spent with ancient wisdom expressed in Sanskrit works, and making them relevant today. One who is shraddhA, dhAraNA, medhA, divinity of speech and dear to the Creator BrahmA, who resides on the tip of the tongue of the devotee and gives many virtues such as self-control (peace) etc. This describes the process of learning. How do we learn? shraddhA. absorbing, reading to receive the knowledge. First we must have shraddhA. The mindset to absorb, learn from the guru, book, speaker, experience, whatever that we are trying to learn from. If we don't trust the teacher to be knowledgeable, even he or she reads from a standard textbook, we will doubt. But if we believe in a palm reader, we will trust any prediction made. Children grow because they trust their parents. Every single moment is learning for them in early years. They won't survive if they didn't have the shraddhA in their parents, that whatever parents are doing is for my good. This also means one is attentive and alert to receive. All of a sudden many traditional practices make sense - respect for teacher and books, early morning bath (fresh and alert), sitting appropriately while studying etc. Then we must have the ability to retain what we have heard or read or experienced. This is the memory part. Whatever we learn, must remain with us, else it is no use listening from one ear and letting go out from the other, as mothers scold their kids in India who don't listen to her sometimes. Attention and retention. This memory power can also be helped by certain foods, regular practice of being still in body and thought. After that we must be able to process it, analyze it with our intellect. What use is it to absorb and retain if we can't process it? This too can be helped by certain foods, regular practice of being still in body and thought. But even as modern science proves, one is born with one's IQ, intellect, and there is not much that can change it. 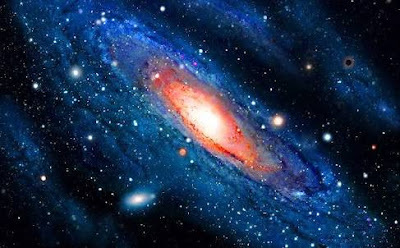 And finally, once we have learned, solved the problem that we were having (whether to cook, build a road, find why I am on this planet, any kind of problem that caused us to sit up and search an answer by learning), once we have solved that, we must communicate it to others for their benefit as well. That is vAk. Communication. Oratory. Teaching ability. Transmitting the knowledge. The power that is knowledge. Then the other will start a new circle of ‘absorb, retain, analye, communicate’. And thus, learning is a cyclic process, a paramparA. Notice how this is what a computer does as well. Input device (absorb), RAM (retain), CPU (process) and output device (communicate). It is not that everyone has all the four abilities, actually very few have all the four. But those who do, they shine anywhere, no matter what field. After a devotee (student) has followed this process thoroughly, what happens? A person who has all four abilities, and has used them appropriately, what happens to that person? 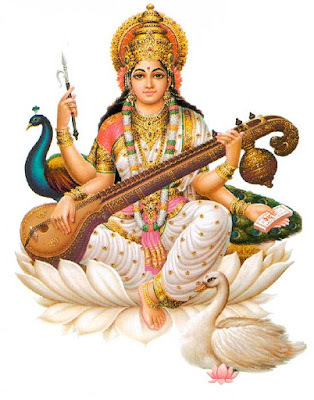 Saraswati herself packs her bags and shifts her house. She builds a tiny little house on the tip of the tongue of such a devotee, student, learner. Whatever this person then speaks is truth, elegant, easily understood, and communicated. There is a very common saying in India 'Saraswati sits on his/her tongue', specially said for the great poets. And what else happens to the student, learner? After knowing there is so much to know, first things happens to a true student is humbleness. And then knowing how the ‘show’ works, how things interconnect, and world is interconnected, the person becomes calm. Fear comes from the unknown. Once you know, the fear is not there. You can avoid it, you can accept it, you can embrace it. After knowing the transient nature of everything, the desire quenches. One doesn’t run after this and that. One becomes self-content. If this doesn’t happen, one has not yet learned truly. The knowledge is shallow. This lack of disturbance is called sham, the control suppression of. Of what? Of the chaos? Which chaos? The chaos of fluctuating mind-variations (chitta-vRitti). Hence a positive word like peace (shanti) has a negative word like suppress in it. Because, you natural state is peaceful and healthy (svastha). Most animals are peaceful in their own except when driven with body needs. We have created most of the un-peace due to our own mind variations, our own wanton, uncontrolled, ever multiplying desires. When we know, we control them. We attain peace. So she is the giver of virtues like self-control and peacefulness as well. vāk-dévī = speech-divinity. vAk = speech, voice. 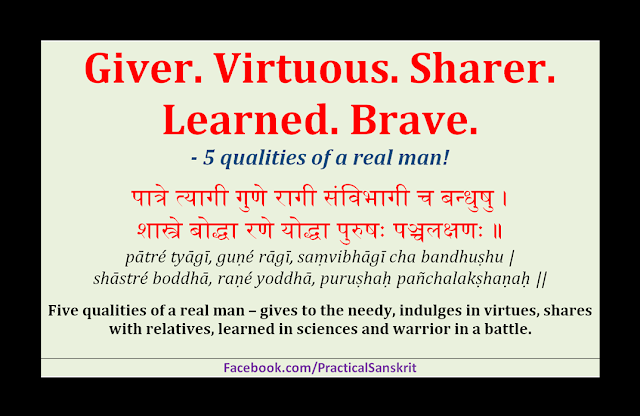 Five qualities of a man – giver, virtuous, sharer, intelligent, brave. 1) gives to the worthy needy (thoughtfully, not carelessly). Just giving to anyone is not a good giving. Good giving is that which gives to the worthy, needy, in right amount, at right time in the right place. There is not point giving to someone who already has, or will make bad use of it, or when it is too late or too little for the needs. 2) indulges in virtues (not vices). A real cultured man is naturally inclined towards virtues and virtuous, developing good qualities, sponsoring inculcation of good qualities. They are sponsors and pursuers of arts and sciences, dance, music, sports etc. 3) shares [prosperity] with relatives (doesn’t usurp property, or enjoy his good fortune alone). With so many inheritance laws, and land being one of the basic cause of fights from long long time, (Mahabharata!? ), the real man does not cheat his relatives of their share. Even from his own share of prosperity, he shares with relatives, so no one feels jealous or inferior. 4) intelligent enough to understand shastra (classics of science and art). A real man is not just about muscles, he is equally smart and intelligent and keen thought leader as well. He is smart in real life situations, negotiator, understand his stuff so no one can fool him! 5) and brave like a warrior in battle. When the time comes, situation demands, he faces it bravely like a fierce warrior in battle. It may not be possible for one man to have all of them, specially 4 and 5, but it is not that difficult either. Maybe today when we have forgotten how to raise good upright citizens, just (partially) skilled robozens from schools, we may think that you can either be smart academically or strong physically. But bravery is a mental virtue of not giving up, facing what may come in the fight for justice and truth. Check us on Facebook. फेसबुक पर भी देखें. Take it easy. No one is perfect. Focus on what you have, not on what you don’t have or could have. Whose family doesn’t have faults? Who is never afflicted with disease? Who has not got troubles? Whose happiness has been eternal? The meaning of this shloka is pretty much straight forward. The main point is, everyone has troubles, no one is perfect, so don’t brood over faults, defects, shortcomings; focus on what can be done, achieved; what you have, rather than what you could have! Remember Chanakya was a very practical person, so in every one of his utterances, there is an element of practical wisdom, urging to get up and achieve, be careful in the world of ambitions. 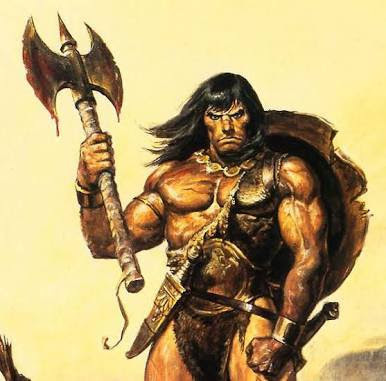 A barbarian is a human who is perceived to be uncivilized or primitive. It was used as early as Mahabharata, where Ghatotkacha's son was named barbarIka, having curly hair. He is worshiped as Khatushyamji today in Rajasthan. Ghatotkacha was born with no hair on his head - ghaTa ut kacha - head without hair. The Greeks used the word to mean non-greek. The Greeks and Romans used the term as they encountered scores of different foreign cultures, including the Egyptians, Persians, Medes, Celts, Germanic peoples, Phoenicians and Carthaginians. In fact, it became a common term to refer to all foreigners. However, in various occasions, the term was also used by Greeks, especially the Athenians, to deride other Greek tribes and states (such as Epirotes, Eleans, Macedonians and Aeolic-speakers) but also fellow Athenians, in a pejorative and politically motivated manner. Remember those days when you (or your dad) would go to the barber shop and get a shave done with the 'ustaraa' (उस्तरा)? 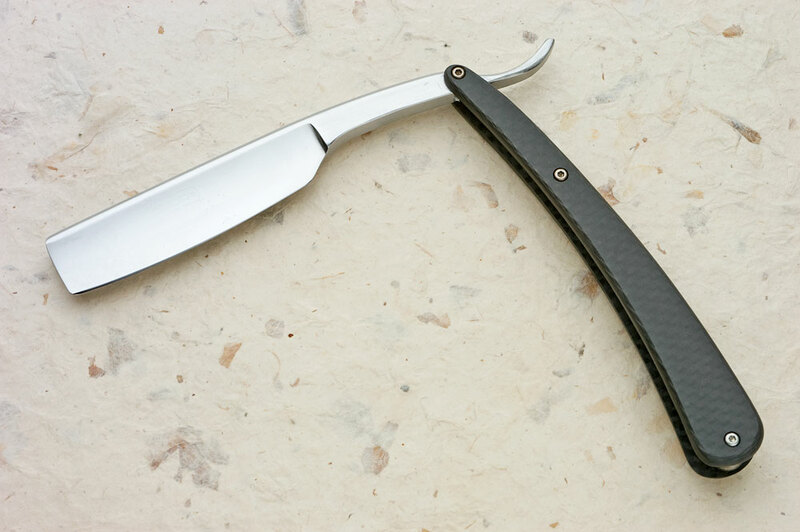 Some even thought of having one for home, to save on the constant expense on the flimsy blades that went blunt in 3 shaves. 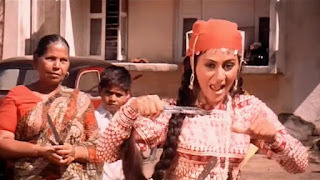 The word for knife in common parlance is chhura (छुरा), or chhuri (छुरी). The word comes from Sanskrit word - kShuraH (क्षुरः) . And we know how 'kSha' gets modified into 'chha' or 'kha' or 'Sha' in languages derived from Sanskrit. That is normal linguistic simplification. Only real macho guys get a shave with a 'kShuraH' anymore. All others are safe in the hands of Mach 5 Twin Blade Smooth Glide Razor Blades. and all that come rushing to the mind. But what is up with the word 'adarak'? Where did that come from? I always wondered these things way back in middle school - where do words come from? How did potato come to India? Where did ginger come from? Imported? Do we know if we had potato sabji 3000 years ago? Or ginger cold remedy back in 2000 BCE? And if not imported, what were they called earlier? And how did the new names come up? Seems that ginger has been around for a while. It was called aardrika/ArdrikA (आर्द्रिका). 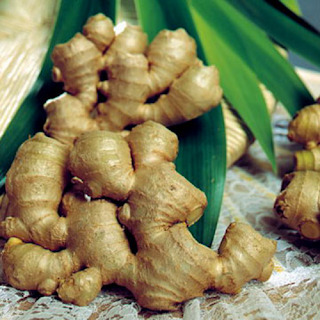 Now, if you are an old timer, and have seen raw ginger or turmeric (or if you grab the fresh ginger at the vegetable vendor) , you will know that the ginger roots are moist when fresh. So, is turmeric. And then you dry them. 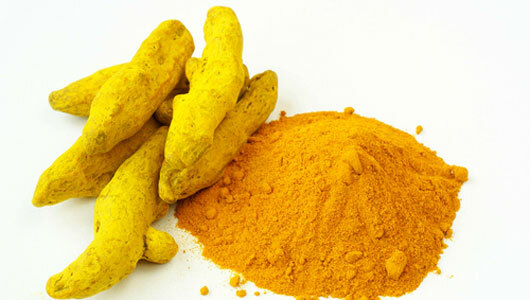 Chop them in small pieces or grind them to powder, and use liberally to strengthen your immunity and bones. So what is turmeric called? And yet, Shiva (शिव) is also called bhUta-nAthaH (भूतनाथः). This of course gives fan to the fire that Shiva is the Lord of the ghosts, and wanders the cemetery, smears the ashes of the burning grounds. And trust me, all this has deep metaphorical meaning that will scare 'The Brief History of Time' out of you. More on this below. The verb 'bhU/bhoo' (/भू) is a very basic verb. Out of the ten classes of verbs, one of them is called bhu-Adi-gaNa (भू-आदि-गण) or bhavAdigaNa (भवादिगण) i.e. "group of bhU and other verbs." bhU means - to be. It is a state change. That which *has* become - bhUta. Now, who has become (past tense) is relative as well. All beings you see, were not beings earlier, in these bodies. They were souls. Before that part of the Supreme Soul. Before that unmanifest 'unperceivable' para-brahma. Upon birth (or conception, if you are a nit-picker) , they *became*. Before that they were not. They were, but not in a form that could have been perceived by us. So, all beings are called 'bhUta'. All of life, not just you and me, the supreme creation, but even the lowly earthworm is a bhUta. Now, when someone dies, from this life's point of view they 'were'. Had been. Had become, not now anymore. They are also called bhUta - one who *had* become (past perfect?). And hence the word for one who had been is bhUta. And if that "had been" tries to become "is being" we really get our spines jolted and scream - ghost!! So, why is Shiva called bhUtanAtha? Well, Shiva is the deity of transformation, of time. And from unmanifest to manifest, spirit to matter and to spirit again, are all transformations. And at the cemetery, you change from is to has been. And turn to ash. His smearing of ash on his body signifies that all came from Time and go back to Time. Only Time rejoices in Time. All else is illusion. So, you must be thinking how I can say that bhUta = all beings. Well, look no further. Remember this shloka in praise of the Mother Devi? 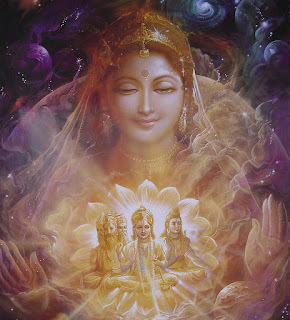 The Dévī who is well established among "all beings" in the form of Shakti (power, energy, ability), salutation to her, salutation to her, salutation to her, salutation, salutation. And why three times? Because 'Three is a charm'? May the Devi keep you safe, healthy and happy.